Tracing? Only talentless hacks trace, right? Right?! Well, if you're tracing someone else's artwork and trying to pass it off as your own, then yeah, thats not cool. However, the Artograph Lightpad is an absolute life saver when you find yourself in a bind. Imagine you've got to draw a complex piece of machinery, a realistic skyline, or get the right perspective for a background containing lots of elements like crowds, trees, cars and so on. Sound stressful? It can be especially if you've got a looming deadline on the horizon. Tracing reference material not only helps you produce faster but it can improve the look of your finished art too! That said, tracing should NEVER take the place of practicing and getting good at your craft. 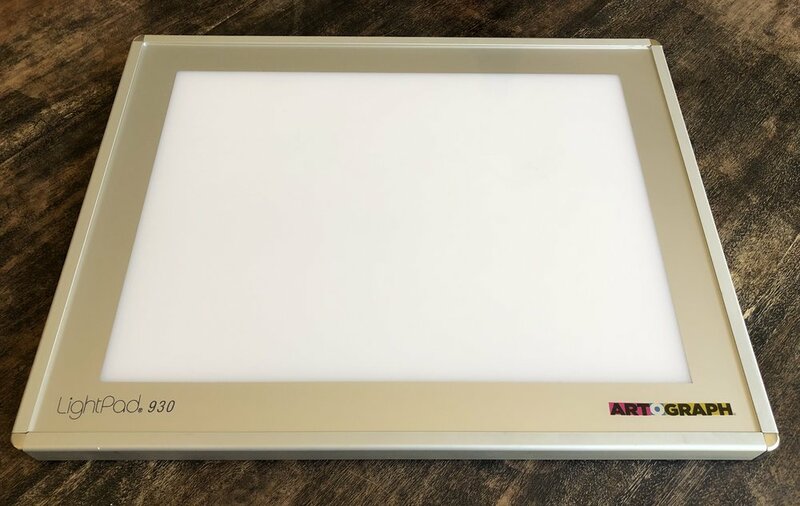 There is a time and place for tracing and a good light box will help you when it comes to getting the job done right and on time! I recommend the Artograph Lightpad but there are slimmer and cheaper models out there that work just as well.